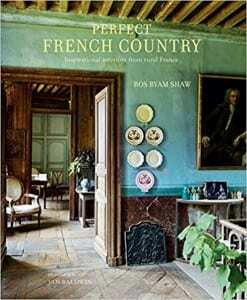 Who doesn’t wish they could live in a French Country house? If we can’t actually move to France to live in the beautiful rolling countryside, then we can at least recreate this timeless and charming style in our home decor. 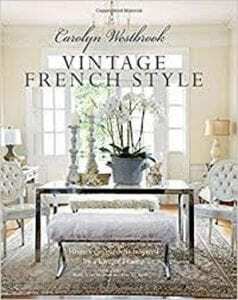 The French Country look is elegant but still comfortable, welcoming and easy to live with. 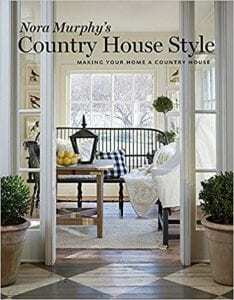 These recently published books explore what gives your home the French Country look and summon up the easy-going Country House style. 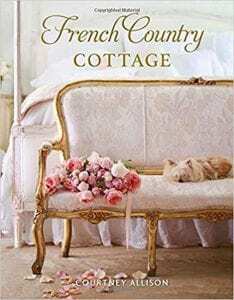 Author Courtney Allison shows the story of how she renovated her 1940’s cottage in California with a romantic interpretation of French Country style. 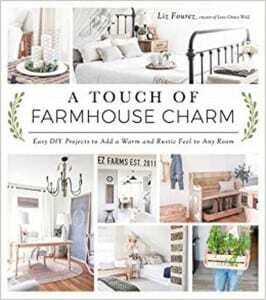 The rural cottage had been abandoned before Allison brought her magic touch to it, filling it with a combination of rustic and refined element to evoke the feeling of a French Country home. Allison includes antique furniture in her home… of course! Antiques and vintage pieces are important to this look to give the romantic aged effect of heirlooms and things collected over the years. Other key elements include a muted color palette and fixtures such as vintage door knobs. Allison also believes that every room should have a beautiful chandelier! We agree with you, Allison! 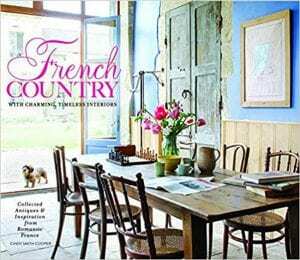 More than 100 photographs of genuine French homes are sure to inspire readers with plenty of ways to add the French Country look to their own homes. 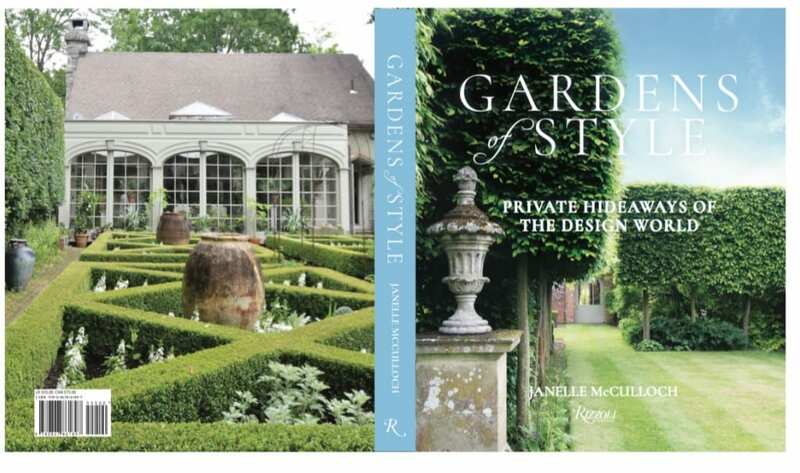 The dreamy color palettes, antique furniture, vintage styling and gorgeous details add up to a wonderful sense of visual delight and relaxed living, As well as interiors, the book explores the open-air lifestyle in French gardens too. 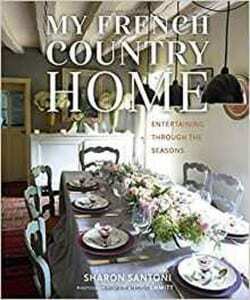 Although Murphy’s book doesn’t focus solely on French Country style, she does show readers the universal elements of the comforting and laid-back country living look. These translate to any country house influenced interior. 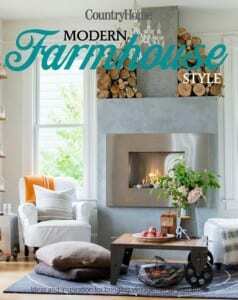 Murphy shows how she has used the style in her own home as well as in other homes, from the city to the village, from the sea to the woods and the mountains. Sometimes it is the little things that make all the big difference in a room. 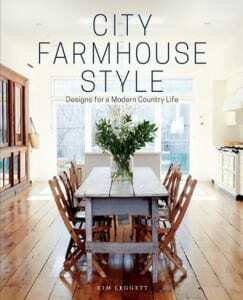 Murphy’s book is packed with inspiration for a relaxed and refined countrified space. 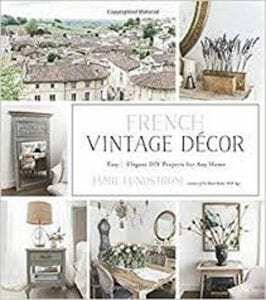 This entry was posted in Bookshelf and tagged books, decorating books, design books, design inspiration, French Antique Furniture, French Vintage Furniture, home decor, interior decorating resources, interior design books, living with antiques on March 28, 2019 by admin. 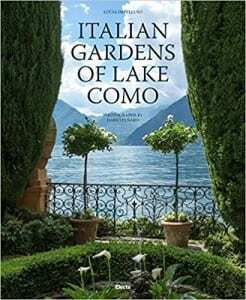 These three new interior design books look so gorgeous and lavish and stylish, they are sure to provide home decor inspiration! 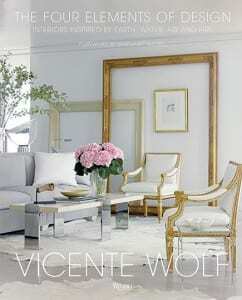 Interior designer Vicente Wolf has very classic taste and in this book he turns to the classic elements of earth, water, air, and fire as a basis for home decor. For example, Earth inspires interiors featuring natural materials such as wood and stone. Fire revels in dramatic reds and Air creates a light and open atmosphere. I’m guessing the image on the front cover is Air, don’t you think? Lots of luminous white and shiny surfaces, accents of transparency and reflection. I don’t know how we’d keep this room so pristine bearing in mind our brood of 8 cats and dogs, but it sure is pretty to look at! 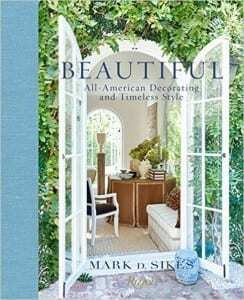 Interior designer Mark D. Sikes celebrates American style in all its classic and eclectic glory. Sikes offers suggestions for all kind of looks, from bright and breezy “Blue and White Forever” casual spaces to “Timeless Neutrals” — semiformal rooms adorned with French chairs, chinoiserie, gilt, glass, mirrors, and banquettes. It really is America the Beautiful! 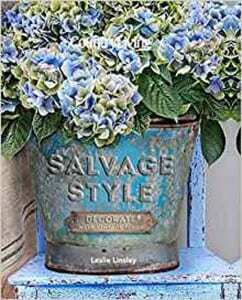 Film director Nancy Meyers wrote the book’s foreword, saying that Sikes shows “how classic can look fresh, how style and comfort go hand-in-hand.” That’s what we like! This book looks so incredibly glamorous, and it’s not surprising. Horst P. Horst was a top fashion photographer for Vogue and when he turned his lens on some of the world’s most stunning homes, his chic-o-meter was just as strong! 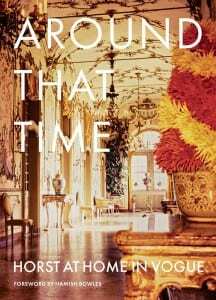 From the 1960s through the 1980s, he created opulent images of the homes of the world’s movers and shakers. 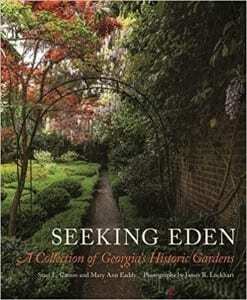 Essays by Valentine Lawford give further insight into the houses and the people who lived in them. Horst is famous for saying: “Fashion is an expression of the times. Elegance is something else again.” Perfect and timeless! I feel like I ought to be wearing a cocktail hat and a designer outfit just to open the cover of Horst’s book. But shh… it will be a lovely guilty pleasure to read it curled up on the sofa in my Elvis pajamas! 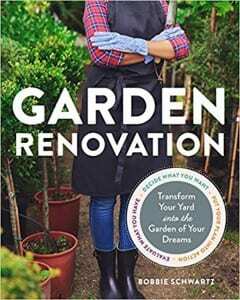 This entry was posted in Bookshelf and tagged books, decorating books, design books, design inspiration, home decor, interior decorating resources, interior design books on August 31, 2016 by admin. In every one of our client spotlights you can see how beautifully our customers live with antiques or antique-inspired furniture. 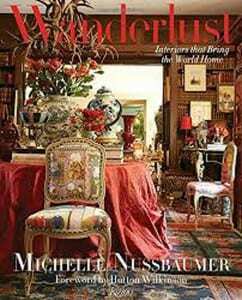 These three new home design books offer more inspiration on how to live with antiques in a modern world! 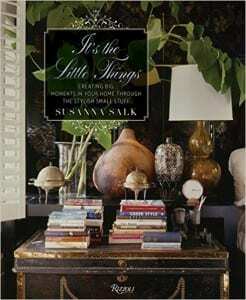 “Antiques add the touch of time and the human hand,” says author Susan Sully. 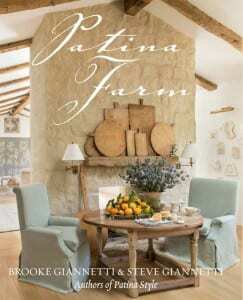 Her new book shows how every antique piece, “tells a story that began long ago and hasn’t ended yet. There are no rules about living with them, except to take what’s old and keep it young by making it part of daily life.” That’s exactly what we think! 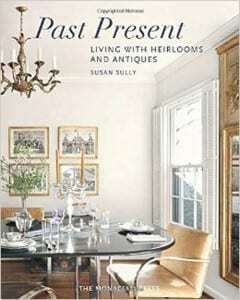 Sully’s book shows how to blend heirlooms and antiques into contemporary homes. Photographs include rooms decorated by collectors, antiques dealers and design professionals to create lively settings for today’s lifestyle. 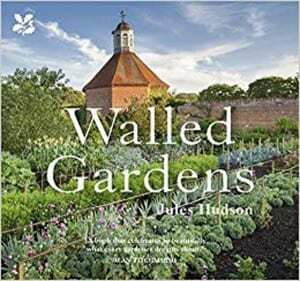 The book title says it all! 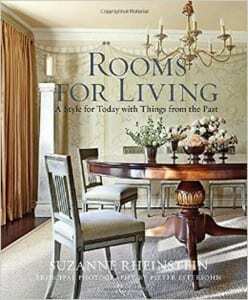 Interior designer Suzanne Rheinstein shows how well she can translate traditional style into something fresh, whether for casual or format interiors. 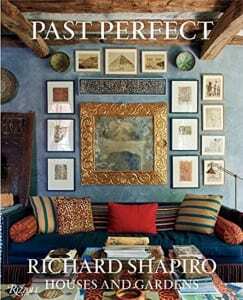 The examples she shows include how to turn a neglected living room turned into a space for reading and writing and how to use color to dress up an entryway. If you love the look of timeless elegance but want to keep a relaxed and inviting atmosphere for your real-life family to enjoy, Rooms for Living is worth a browse! Ellen DeGeneres says that she is passionate about interior design. She might even have been a designer herself if she hadn’t made such a wonderful career for herself in show business. 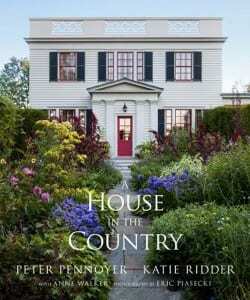 She has renovated and decorated nearly a dozen homes and she’s a big fan of antique furniture. 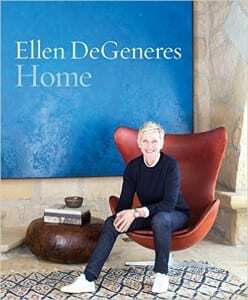 All of Ellen’s houses that I’ve read about include antique furniture, from antique French furniture to exotic antique rugs and carpets and from Spanish colonial benches to Rococo Bergere armchairs. She also seems keen on using antique architectural elements in her home decor. It all creates a wonderfully eclectic effect, combining Mid-Century Modern and Louis XVI, traditional French and colorful Asian pieces. 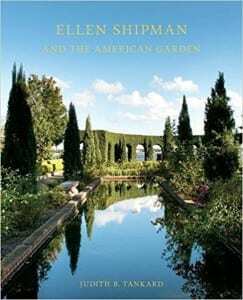 Ellen’s wit and character shines through in the way she juxtaposes pieces that she loves. 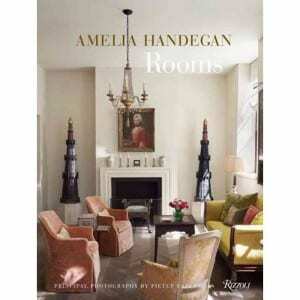 She really does have a good design eye and is a great ambassador to show how to live with antiques. 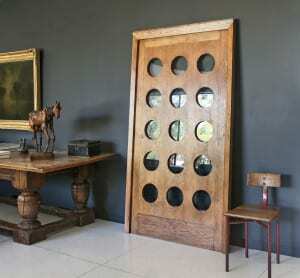 I hope you find some inspiration for how to live with antiques in your own particular style! 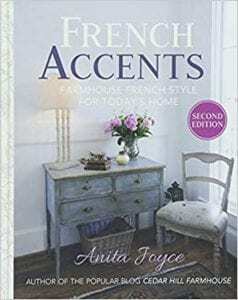 This entry was posted in Bookshelf and tagged Antique Furniture, books, decorating books, design books, design inspiration, French Antiques, home decor, interior decorating resources, interior design books on April 25, 2016 by admin.